One of the aspects of my job that I really enjoy, is working on special exhibitions. Finding a topic that has broad appeal and developing a new way to present it to the public. A little over a year ago, our museum started to think about a possible exhibit to commemorate the centennial of the first ascent of Denali’s South Peak (20,327 feet). This 1913 group included Hudson Stuck, the charismatic Archdeacon of the Yukon; soon-to-be first superintendent of Mt. 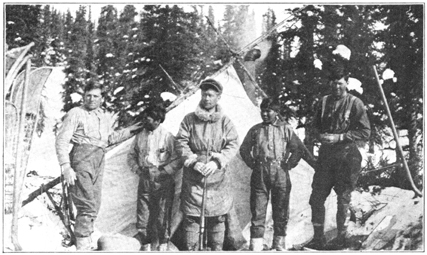 McKinley National Park, Harry P. Karstens; Walter Harper, the athletic, intelligent, and dedicated trail companion of Stuck; and Robert Tatum, postulant for holy orders at the St. Mark’s Mission in Nenana. 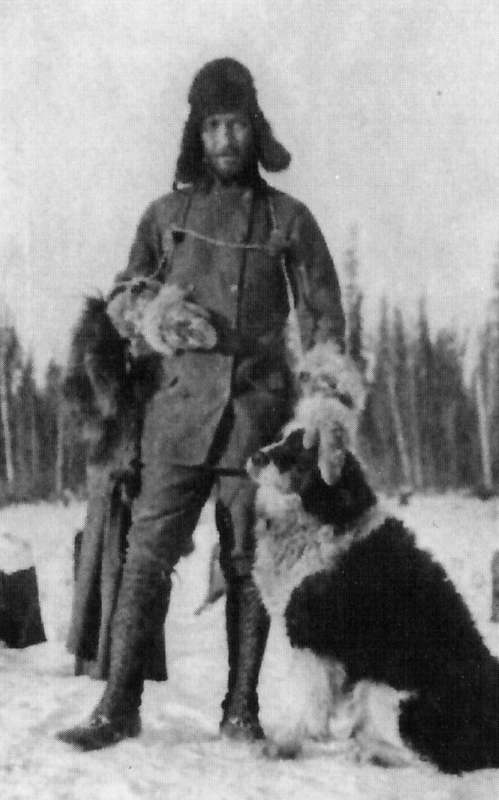 Joining the group were two young men (each in their mid-teens), John Fredson and Esaias George, also studying at Nenana, who played essential parts in the ascent as well. 1913 crew, from left: Robert Tatum, Esaias George, Harry Karstens, John Fredson, Walter Harper. It is the exciting story of their ordeal climbing “the great one” that we will tell, in partnership with the Denali National Park staff, during the summer of 2013 in the exhibition Legacy: 100 Years on The Mountain. Narratives taken from the journals of each climber will guide visitors through their journey from Fairbanks, to the peak of the mountain, and back down again. We will also learn about the men, as individuals, and how this event pulled them together as well as drove them apart. Hudson Stuck with one of his dogs. As we develop this story, we seek the assistance of our community in identifying potential artifacts associated with these people and their legacies. Anyone with information about items used on the 1913 ascent are asked to contact me or the museum. I look forward to sharing the stories of these incredible men and the legacies they left behind. Join us next summer for the exciting celebration of this amazing event.